As 2017 comes to a close, DualShockers and our staff are reflecting on this year’s batch of games for our official Game of the Year awards. In the lead up to the New Year’s Day reveal, each member of the staff will give their personal top 10 games they played this year. Even though it’s easy for me to often dwell on the negatives, 2017 has been an amazing year for me both personally and professionally. I finally graduated from college a few weeks back, met a lot of new people that I’m now proud to call close friends, and I had the pleasure of covering E3 for my first time, which is something I had dreamed of doing since I was a kid. 2017 was also one of the busiest and satisfying years for me as a gamer as well. I played somewhere close to 75 games this year which is likely the most I’ve ever played in a single calendar year. I’ll still be working my way through plenty of notable titles like Persona 5, Assassin’s Creed Origins, and Yakuza 0 so my top 10 favorites from 2017 could easily change in the future, but here’s how it shakes down right now. MLB The Show 17 has to be somewhere on my list simply because it’s the game I play the most of year in and year out. In between all other single-player games that I’ll dive into annually, I always find myself squeezing in a few games of MLB The Show online as a sort of palate cleanser. I’ve often claimed that The Show series is secretly the best RPG in gaming every year, and I still believe that notion to be true. Building my Diamond Dynasty team from scratch every year and slowly getting better over the course of the season is still one of the most satisfying feelings of progression I’ve ever seen in any game. 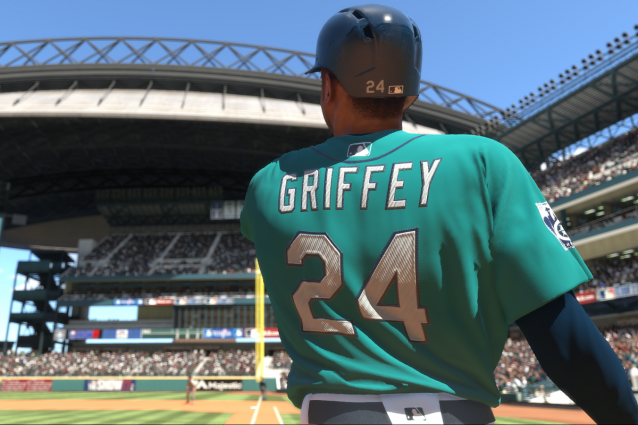 MLB The Show 17 doesn’t reinvent the wheel, but Sony San Diego has nearly perfected the gameplay systems within this series that even incremental upgrades year after year feel like huge changes for someone like myself. I can’t wait to dump the same amount of insane hours into next year’s edition. Cuphead is the most recent addition to my top 10 as I just finished it the night before I began writing this. 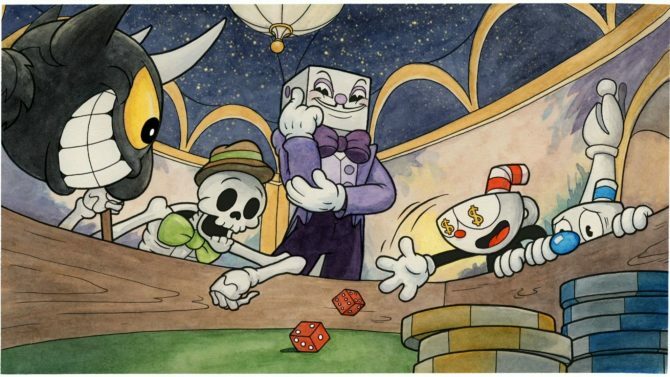 Like so many others, I was sold on the idea of Cuphead the moment I saw its art style, but what I didn’t expect was it to be as fun to play as it is. Despite being a rather simplistic boss rush game, Cuphead felt like a breath of fresh air due to its vibe and tone. The bosses in the game aren’t without some design issues, but I found myself glued to the edge of my seat each time I reached a new transformation animation in each fight. With a soundtrack that is also one of my personal favorites of the year, Cuphead might just be one of the most memorable gaming experiences I’ve ever had. Check out DualShockers’ Cuphead review. I’ve tried my best to preach the Nex Machina gospel throughout 2017 because I really do believe it’s the most well-designed game of the year purely from a gameplay standpoint. The flow of combat is unparalleled and helps redefine what it means to be an arcade game in 2017. Similar to MLB The Show 17 on my list, Nex Machina has been a game I’ve gone back to quite a bit this year because of how accessible and easy it is to jump in and play a few levels. This is easily my favorite game that Housemarque has ever made, and despite them shifting away from making games in the arcade genre, I’m stoked to see what they create next. 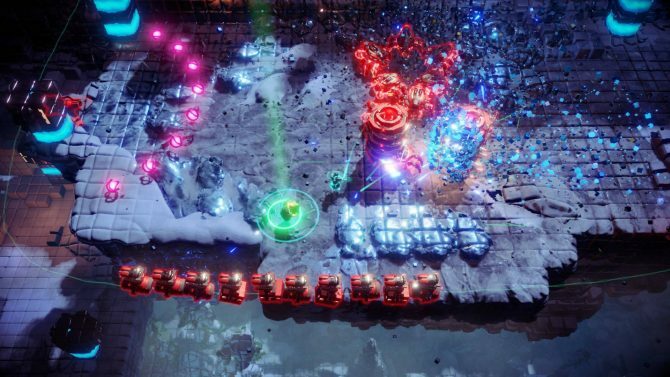 Check out DualShockers’ Nex Machina review. I did not like the original Destiny. In fact, I’d go as far to say that I hated it. I tried it out at launch and found it to be so shallow and mindless that I was fine with writing the franchise off forever. When Destiny 2 released back in September though, I ended up making an impulse purchase and found myself becoming the one thing I swore I’d never be: a Destiny fanatic. 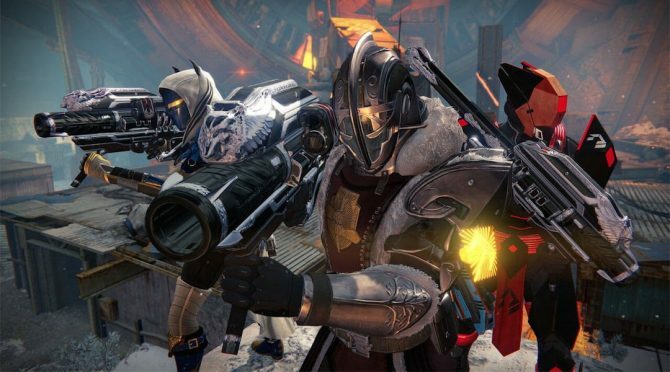 What I loved the most about Destiny 2 was that it got me back into gaming with friends, which is something I hadn’t done much of the past few years. Even during the dry, monotonous portions of Destiny 2 where I’m repeating the same strike repeatedly, I loved getting to hang out with friends and catch up on real life. Destiny 2 became the catalyst that strengthened my relationships with friends, and for that, I’m incredibly appreciative. At this point, I’ve bounced off of Destiny 2 pretty hard, but if you spoke to me at any point within the first month after the game’s launch, then it’s probably the only thing I would have talked about. I desperately want Bungie to give me a reason to come back to Destiny 2 in 2018, which is something I would have never expected to write at the start of this year. Check out DualShockers’ Destiny 2 review. I love the Resident Evil franchise and have played nearly every noteworthy game in the series. After the abomination that was Resident Evil 6 though, I was fine with burying the series I had once adored in a shallow grave and never hearing from it again. 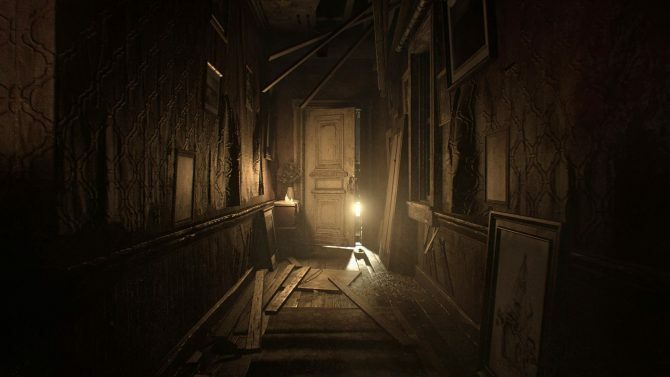 The reveal of Resident Evil VII: biohazard made me both excited and incredibly nervous at the same time, and I was convinced Capcom would somehow screw it up. Happily, that isn’t even close to being what happened. Resident Evil VII didn’t just turn out to be amazing, it might be my favorite entry in the entire series. While being so different in regards to the first-person view and abandoning of typical RE lore — Umbrella Corp., the t-Virus, zombies, etc. 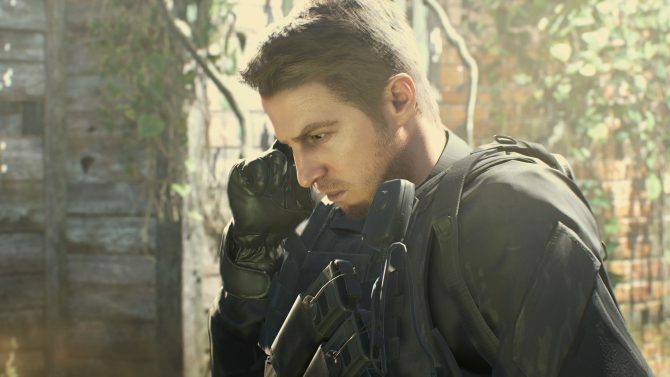 — what Resident Evil VII does so right is that it goes back to the gameplay roots of the franchise. 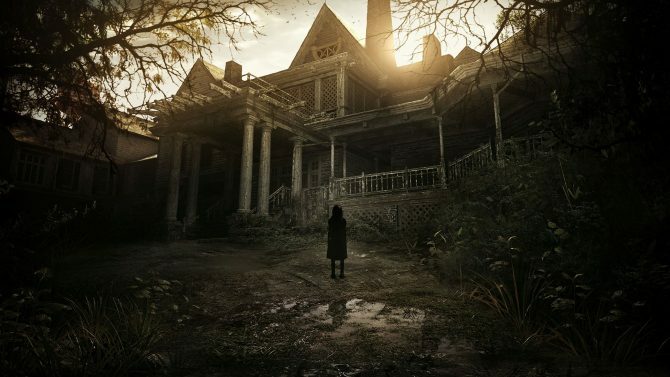 For the first time in over a decade, RE7 felt like what a Resident Evil game should feel like and focused more on puzzles, survival, and horror rather than fancy gunplay. Plus, the game moves at an incredible pace with a memorable moment occurring at what seemed to be every twenty or thirty minutes. Where I once wanted to leave this series for dead, I now have so much optimism and hope moving forward. Capcom is on quite the roll as of late, and I really hope that continues into next year. Check out DualShockers’ Resident Evil VII: biohazard review. I don’t often get emotional when I play games. It’s a sad fact, but it’s one that I’ve just come to grips with over the years. If you’ve read any of my reviews here at DualShockers, you’ve probably noticed that I spend far more time analyzing games and valuing them based upon their mechanics and systems rather than their stories and characters. So in steps What Remains of Edith Finch, a game centered solely on characters and story with little-to-no gameplay mechanics to be found. On paper, it shouldn’t register with me very much, but the exact opposite happened. I’m hard-pressed to think of another game that has ever filled me with such sorrow and heartbreak like Edith Finch did. It also proved to be a game that affected me outside of the two to three hours that I played it and made me ask questions about my own life and eventual death. I don’t know if I would call What Remains of Edith Finch a “fun” game, but it’s a deeply personal and human story that I’ve thought about for months. What Remains of Edith Finch proved to me that I’m not an emotionless robot and that given the right circumstances, a video game can definitely resonate with me on an emotional level. Check out DualShockers’ What Remains of Edith Finch review. Wolfenstein II: The New Colossus is a game about moments, and boy, are those moments downright insane. Everything I would love to rant about in this section of my top 10 would be considered spoilers, so I’ll just say that I absolutely did not know what I was getting myself into when I first booted up Wolfenstein II. This is further emphasized by the fact that there is now a Wolfenstein game on the market with an incredibly compelling narrative. Somehow, Machine Games made BJ Blazkowicz a character with so much emotional depth that he puts Charles Foster Kane to shame by comparison. 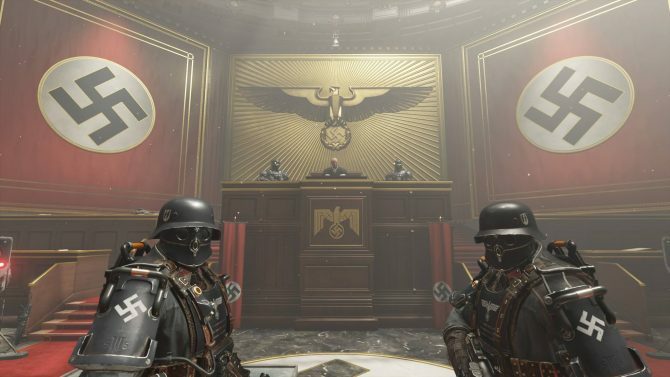 While there’s a lot to love in the usual wackiness of killing Nazis, it’s this added emphasis on storytelling that has led to Wolfenstein II being so high on my end of the year list. I said in my review about two months ago that Wolfenstein II was my favorite shooter of this generation, and I still believe that to be true after dwelling on it for a bit longer. If you like shooters like I do, you owe it to yourself to play this one at some point. Just make sure to take some Adderall before you start. Check out DualShockers’ Wolfenstein II: The New Colossus review. Instead of being just another person endlessly praising Breath of the Wild, let’s talk about some of its issues. I think the dungeons and their designs were a major disappointment, the story never went anywhere very interesting outside of its main premise, and the weapon durability system can be a major drag. Plus, rain; I freaking hate rain. Now that I’ve evened things out a bit, I feel safe in saying that Breath of the Wild easily has the most well-designed open world in video game history. Never in my life have I felt more compelled to overturn every stone and rummage around every corner because it seemed like I was always rewarded with a unique new item or a memorable moment that I still think back on. Despite all of the amazing things about Breath of the Wild, I think its greatest strength is that it doesn’t rely solely on nostalgia. I’m definitely in the camp that believes there’s a subtle Nintendo bias throughout the critiquing side of the gaming industry and as such review scores are sometimes inflated due to rose-tinted glasses. With Breath of the Wild, however, there were times where I had to actively remind myself that what I was playing was even a Zelda game. 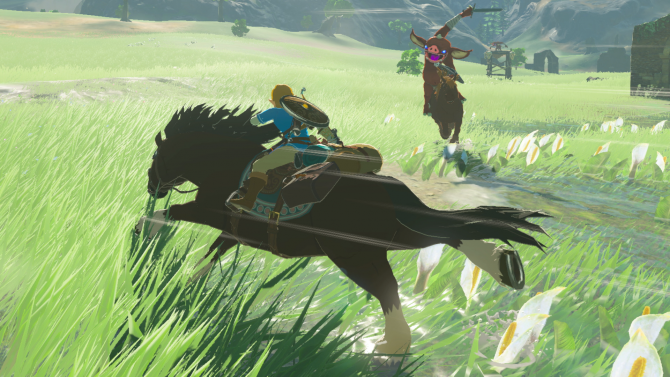 Breath of the Wild breaks new ground for open world games while simultaneously changing the formulaic nature of what it means to be a game in The Legend of Zelda series. As it stands, Breath of the Wild is probably my second favorite Zelda game of all time, only coming in behind Ocarina of Time. Check out DualShockers’ The Legend of Zelda: Breath of the Wild review. 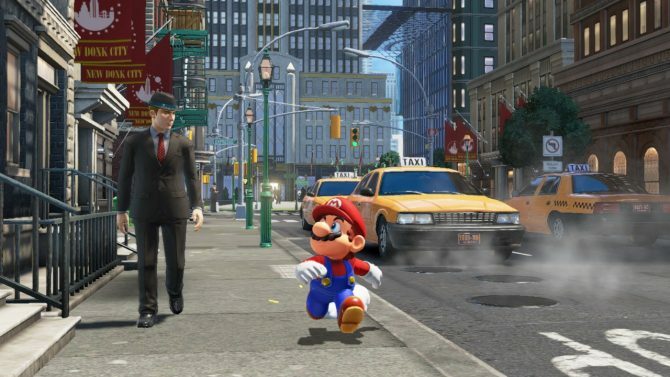 Super Mario Odyssey is a video game that allows you to chuck a ghost hat at creatures and people only to possess them and forcibly grow a mustache on their face. ‘Nuff said. Check out DualShockers’ Super Mario Odyssey review. The moment I finished Horizon Zero Dawn I immediately knew it was one of my favorite games I had ever played. 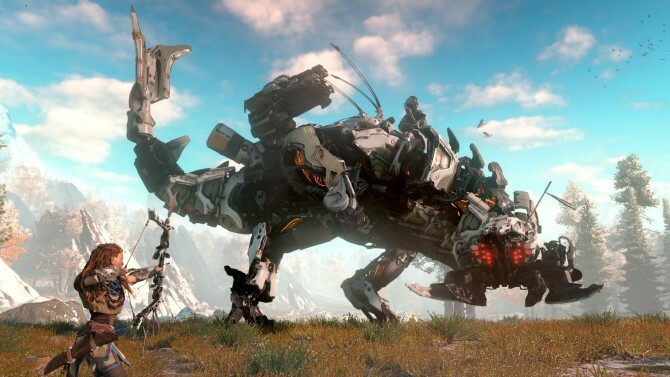 While there’s a lot to like about the notion of running around an open world and killing robot dinosaurs, what I really fell in love with in Horizon was the world, characters, and story that the game told. 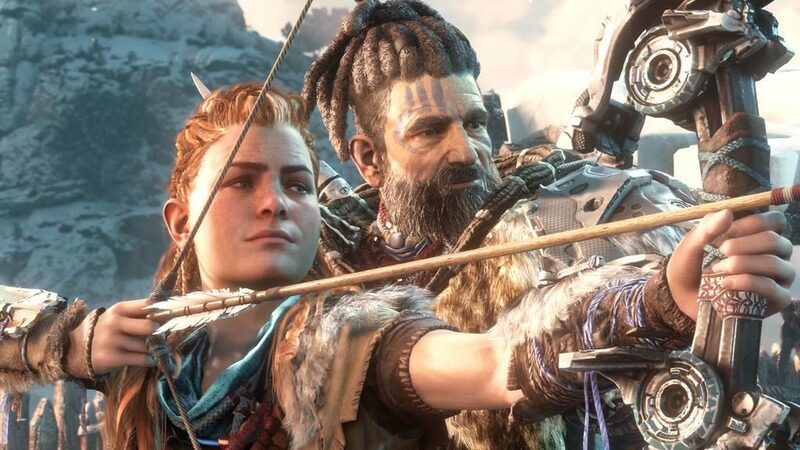 The aura of mystery surrounding Aloy and her backstory combined with the tribal and political elements of Horizon Zero Dawn’s world made me feel more compelled than ever before to complete every quest and objective that the game threw my way. I am inherently a completionist, but my reasoning for wanting to finish all of these tasks wasn’t just because I wanted a platinum trophy and was instead because I loved the world so much and wanted an excuse to get to know it on a more intimate level. All of these world-building elements of Horizon Zero Dawn, when working in tandem with top-notch combat and incredible creature design, created an experience far beyond what I had ever imagined. As someone who didn’t much care for the Killzone series, Guerrilla Games blew my expectations out of the water. 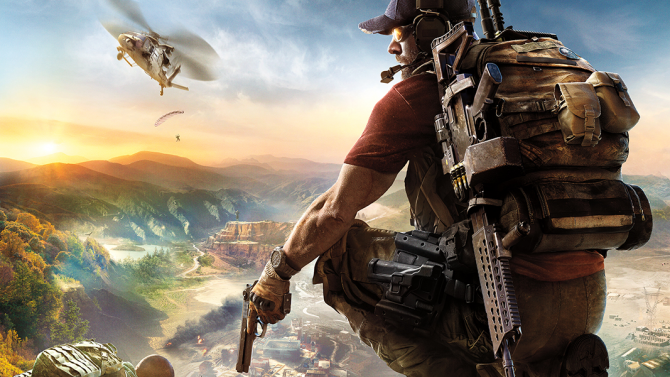 In the process, they’ve also quietly created one of the most impressive game engines in years and one that will impact Sony Interactive Entertainment for years to come. 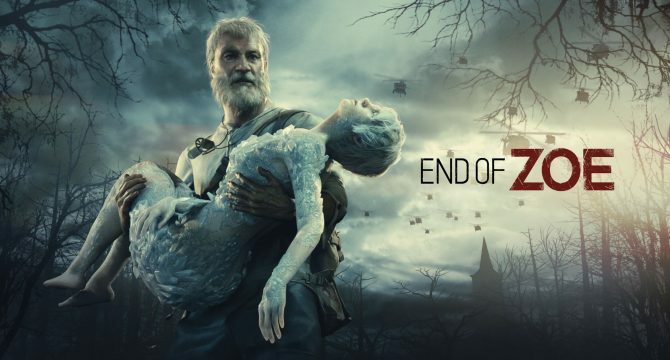 This generation of video games has mostly been defined by sequels to games from the last generation or instead reimaginings or relaunches of established franchises. Nearly four years into the PS4’s lifecycle, Horizon Zero Dawn truly felt like the first original IP that we had seen in years, and I adore it so much more for that reason. Horizon Zero Dawn isn’t the most original open world game that’s ever been made in terms of design, but I thoroughly believe that it’s the best execution of what we’ve come to expect from games in the genre. Check out DualShockers’ Horizon Zero Dawn review.